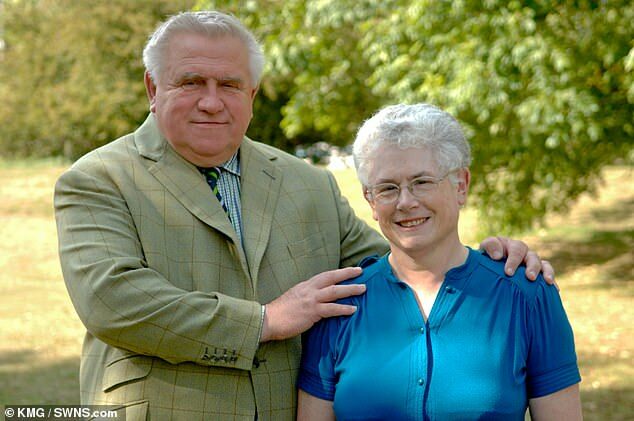 ‘Britain’s most hated landlord’ is set to cause more misery – by evicting hundreds of tenants. 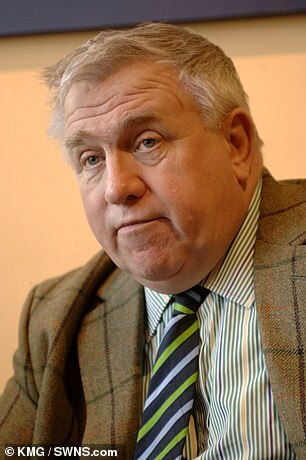 Multi-millionaire Fergus Wilson, infamous for banning ‘coloured’ tenants because they smell like ‘curry’, hopes to sell his portfolio of 300 homes by the end of the year. The 70-year-old is planning to give tenants their marching orders next week. Just last month his wife Judith Wilson, 68, was ordered to pay £25,000 in fines and legal costs last month for failing to supply hot water to a disabled tenant. The couple, who live near Maidstone in Kent, said they would appeal the decision and threatened to crash Ashford’s property market by selling their empire. Fergus has revealed 32 homes have been sold independently and talks are underway to offload some stock in batches. A tenant, who asked not to be named, said: ‘I hate him. We all do. It’s low rent housing – if I could afford to move elsewhere, I would. ‘I’m not one of the first lot getting turfed out but I do feel like it’ll happen any day now. A total of 90 Section 21 notices will be delivered to tenants next week, allowing two months to vacate. ‘I do feel sad for people who are going to be homeless, it will be hardest for parents with young children, because most landlords won’t accept them,’ he said. ‘I also feel sad selling the houses. We have built them up over the years but we can’t take them to the grave with us. In 2017, Fergus’ ban on ‘coloured’ tenants – because they allegedly left curry smells in his homes – was overturned in a court victory for the Equality and Human Rights Commission. 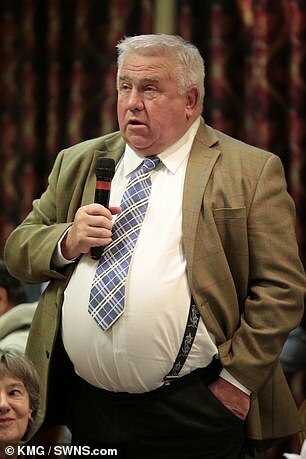 More recently he sparked fury for evicting four mothers which he blamed on the district council’s ‘strict rules’ on how quickly boilers need to be fixed in homes with babies. In September he triggered a police response when he threw his plate of chips on the floor at a service station. Fergus said he is in talks with businessmen from India and Nigeria about the homes. Landlords have the legal right to retain possession at the end of a tenancy, but must follow the legal procedure.